Become Known recognizes your need for cost-effective public relations (PR). We assist you, the small or single person business owner in Michigan and nationwide. Whether you need a press release, speech coaching, a review of your website or social media, we help you increase sales (think "More Money!"). Kirt Manecke, owner, is certified in Search Engine Optimization (SEO), Web Usability, and trained in Web Copywriting and Link Building. 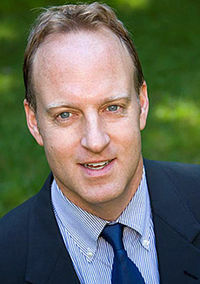 Kirt Manecke is a publicist for New York Times best-selling author Carl R. Sams II. Kirt's experience includes creating an award-winning start-up specialty retail business, advancing sales growth as a technical sales representative for a leading Minnesota manufacturer, and increasing membership tenfold as executive director of a northern MI land trust. "I understand your struggles as a small business owner. I will help you increase your sales."